lanimalu – From the end of bag. Happy Friday everyone! And welcome to Tolkien Artist Fridays once again, the artist of the week is lanimalu. I discovered her Tumblr about a year ago and it was through this post which nearly destroyed my heart. 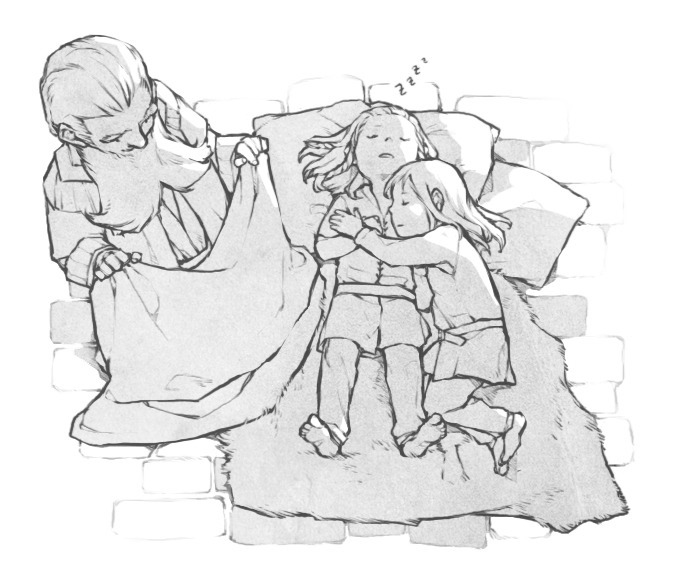 😥 It shows Balin looking over Fili and Kili as young kiddies and…as grown brave dwarves. You can see the rest of the post here. Warning: if you haven’t read The Hobbit, beware of spoilers.